Stomping Ground brings you late night giggles and ghouls with SLAY: Halloween Variety Show. 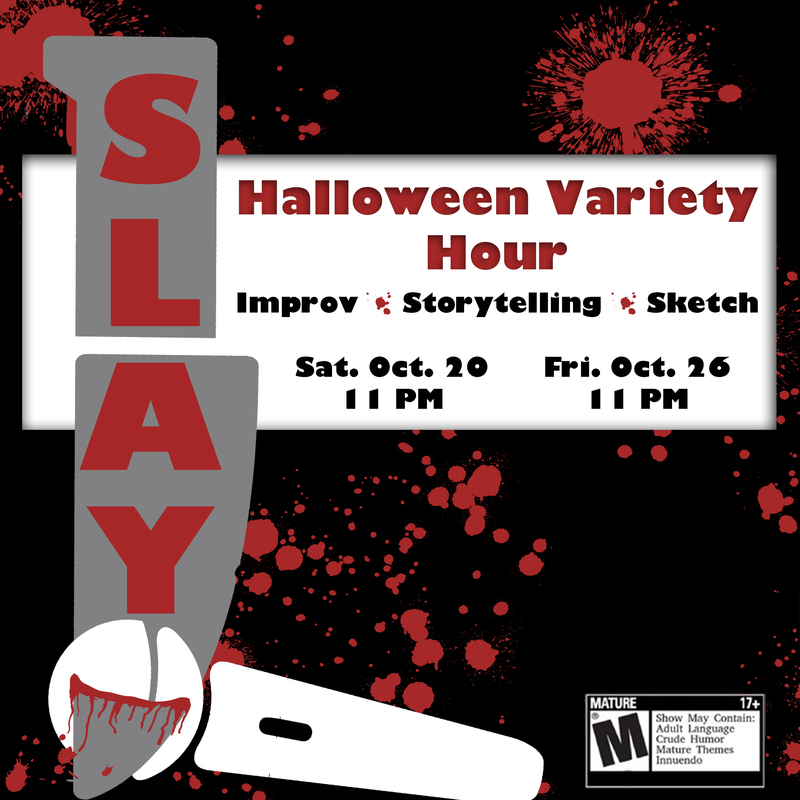 SLAY will feature spooky storytelling, urban legends, Halloween-themed improv and sketch comedy, and more. It’s not a drag show, but you might just get slayed anyway. Hosted and produced by Jamie Zeske and featuring local comedy talent.